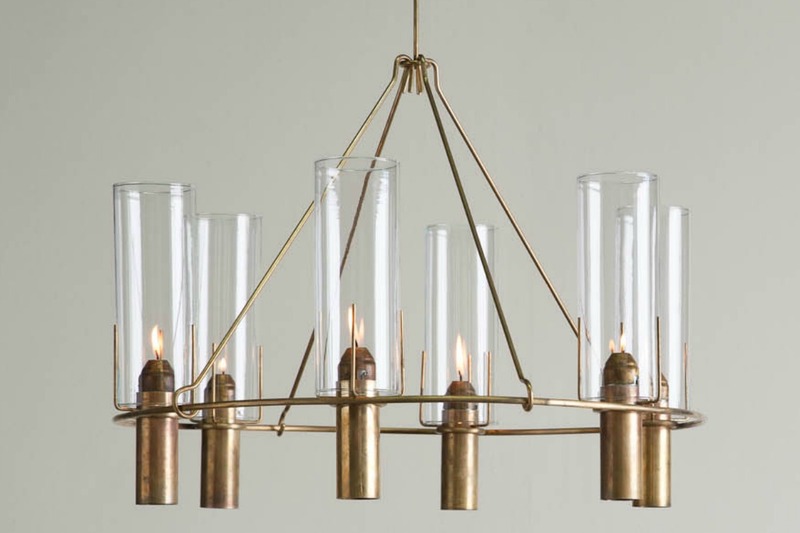 The Oliver Chandelier is the perfect balance of elegant and industrial, comprised of a circle of six spring-loaded brass candleholders with 8” glass cylinders. The spring-loaded feature allows for ease of use and replacement of its dripless wax candles. Ships with 24 complimentary candles. A striking style makes The Oliver Chandelier the talk of the table. Living, unlaquered brass finish. Also available in oxidized brass. 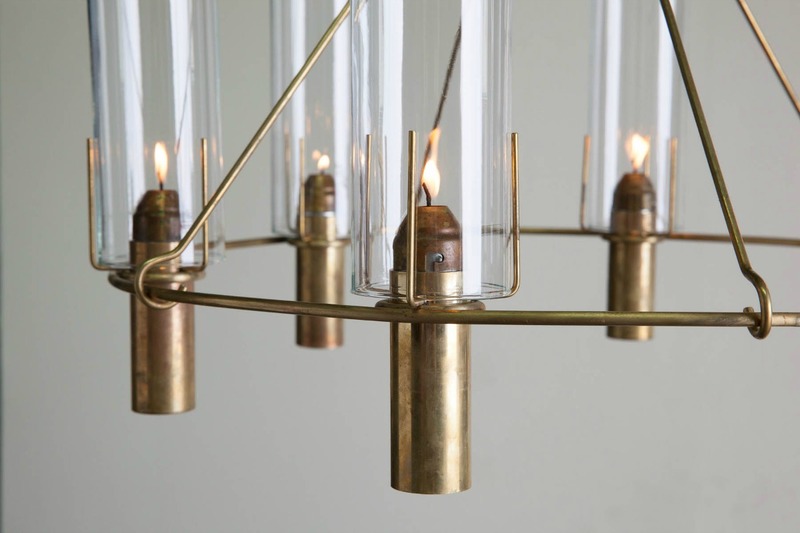 Fixture available in Brass or Oxidized Brass only. See our finish chart for swatches. A beautiful finish. The Oliver comes in an unlacquered or oxidized brass finish that transforms over time. A different kind of light with a soft candlelit glow and dripless, spring-loaded candles that are as easy as pie to replace.